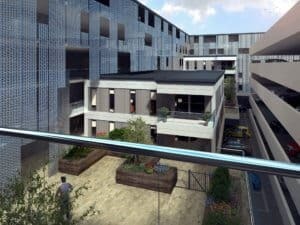 With the latest Scape Group report, ‘The Future of Social Homes for Rent’, sharing Lungfish’s modular residential project as an efficient and cost-effective approach to increasing the UK’s housing stock, managing director Simon Reid shares his thoughts on utilising offsite and modern methods of construction (MMC) as a fast solution to delivering more homes for social rent. “Offsite construction is a subject Lungfish is seriously passionate about. We have been dealing with offsite for about eight years now, from one-classroom extensions and small nurseries, to a full fire station on the Scottish isles – where even the ferry that the lorry transporting the modular blocks would take from the mainland was measured to ensure a perfect fit. 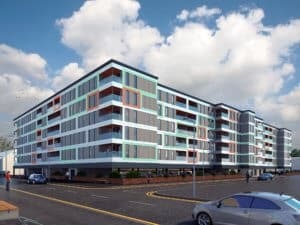 Multi-storey, timber, structural insulated panels (SIPs), cold rolled and hot rolled – we have gained significant experience in MMC, particularly offsite. As an architectural practice, there is an enormous reliance on the transfer of skills and competencies across sectors to drive efficiencies in our designs. The key is to stop thinking about ‘constructing’ and think about ‘manufacturing’. Through designing with the mindset of how quickly and effectively something can be built, clients can save months on decision making and maximise cost efficiency. Utilising proven designs can deliver an individual result solely focused on user experience. The common perception of standardisation is one which we have battled with over the years. By challenging what has been done before, embracing MMC and identifying what can be achieved through driving value in the production line, we know how to get the optimal design solution and maximise repeatability for manufacture. This approach ultimately benefits the client through significant cost savings, short programme times and quick replication for larger estates. We have previously designed buildings bigger because it was easier, quicker and more cost-effective for the client. 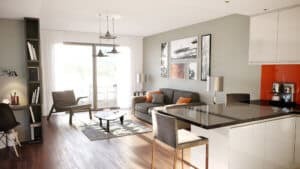 Pre-approved, modular residential designs can be fast-tracked through the planning process and our extensive research and development has resulted in our firm stance that offsite construction is the solution to commissioning and delivering projects quickly, efficiently and on-budget. The construction sector has only recently begun to learn how utilising offsite manufacture for buildings can benefit all sectors. Laboratories under strict environmental conditions have delivered countless classrooms to address the school places challenge, and now are well-positioned to tackle the demand for social housing. However, if we are to get anywhere close to hitting government targets of building more social homes, all invested parties need to learn about the modular industry and embrace the resulting benefits. Lungfish’s experience in offsite and modular construction has made an incredible impact to the education sector. We have delivered high-quality buildings, within tight budget restraints, as well as engaging with local authorities to identify the associated benefits, in turn changing the mindsets and approaches to future planning. To read Scape Group’s report, The Future of Social Homes for Rent, click here. Read more on our feature residential project here. To learn more about the benefits of offsite construction for the education sector, read Richard Daw’s blog, The Benefits of Modular Construction.